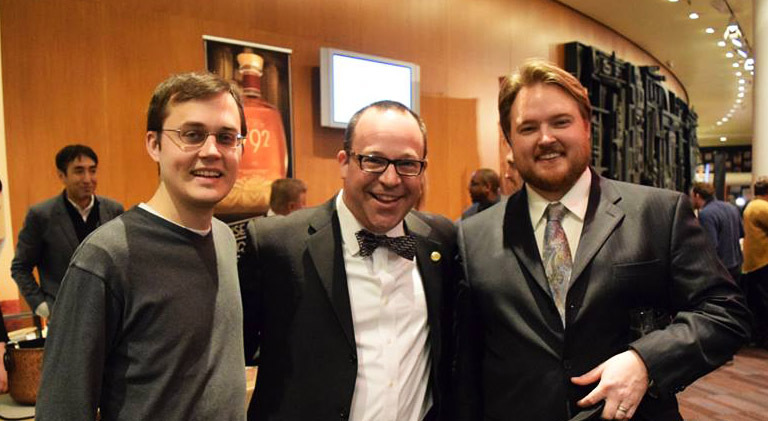 Fellow Bourbon Crusaders, we were lucky enough to get to sit down and talk with Albert Schmid, author of The Old Fashioned: An Essential Guide to the Original Whiskey Cocktail and the Gourmand Award winning The Kentucky Bourbon Cookbook. We first met Albert at a book signing in Lexington, KY about two years ago, and we were happy run into him again at the Bourbon Classic this past February. We were very excited to learn that he has a new book due out this September on the Manhattan cocktail. He is one of the most interesting characters in the world of bourbon. Just a few highlights of his impressive resume include being an accomplished writer, chef, and professor and director of Hotel-Restaurant Management and Hospitality Management Departments at Sullivan University in Louisville, KY. This was one of our most enjoyable casts to date, and we hope you’ll think so too! We are extremely grateful to have had this opportunity to talk in depth with Albert, and we can vouch for the quality of his books mentioned above. So sit back, relax with a nice bourbon, and enjoy! Next Post Bonded Mash Madness!